The quality of your data capture relies on the accuracy and reliability of your systems’ autopilot. Black Swift Technologies’ SwiftCore™ Flight Management System (FMS) is a payload-focused control system enabling real-time telemetry and control through its autopilot data link. 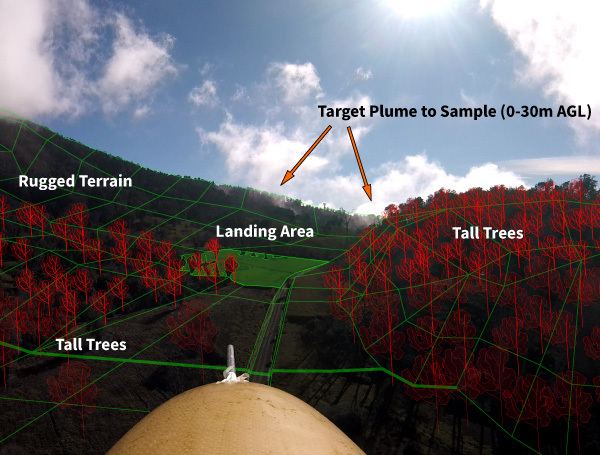 By autonomously modifying flight paths based data from sensor inputs, operator workload is minimized while the quality of the observed data is enhanced. This advanced end-to-end avionics solution allows you to control, communicate, and command your Unmanned Aerial System (UAS) for fully autonomous flight. As a data-centric control system, SwiftCore FMS addresses the key dependencies for optimal data/image capture including: the density and consistency of image overlap, overall platform connectivity and the ease of flight planning and execution. Enable rapid changes of the payload in the field using a common power, data, and mechanical interface without any specialized tools. This allows for at-altitude field calibration and different sensor suites to be rapidly deployed in successive missions using the same airframe and FMS, extending the utility of the Black Swift S2 UAS to numerous applications and missions. As a result of its standardized interface users can quickly and easily integrate new sensing payloads—in the lab or in the field. Black Swift Technologies has incorporated modular payload sensors for a variety of specialized applications including Soil Moisture Mapping (L-band radiometer), Wildfire Monitoring (CO2, CO, aerosol, RH, p and T trace gas sensors, multispectral camera), Multi-Angular Remote Sensing (531nm band monitor, Tetracam Mini-Multiple Camera Array Imaging System, multispectral camera), Volcano Monitoring (CO2 trace gas sensor, nephelometer, temperature, pressure, humidity and wind sensors), to name just a few. Accessibility and flexibility are further complemented by Black Swift’s advanced end-to-end avionics solution (SwiftCore Flight Management System), which enables real-time telemetry and control through its autopilot data link allowing for payload-focused fully autonomous flights. System failures can be costly—in time, money and equipment. Black Swift Technologies (BST) is developing a highly capable avionics subsystem with associated machine learning algorithms to provide early warning and diagnostics of potential failures of critical systems on small UAS. BST’s intelligent fault detection can predict system failures before they happen. The goal of this technology is to aid in enabling ubiquitous operations of UAS in the national airspace. This includes beyond-line-of-sight operations (BVLOS), flights over populated areas, and fully autonomous operations without direct human oversight. More reliable UAS are essential for making a safety case with the FAA to allow new types of missions. Reducing failure likelihood due to consistent maintenance and improving flight anomaly detection and mitigation will be important factors in enabling BVLOS operations and eventually fully autonomous flights without direct human oversight. 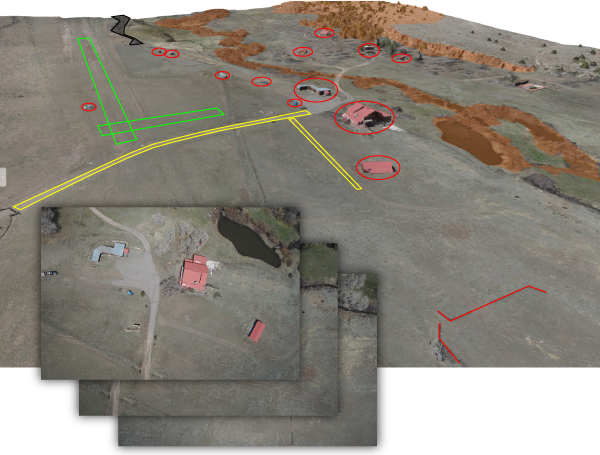 Black Swift’s system allows for active navigation around obstacles and rugged terrain by fixed-wing UAS. By making UAS operation safer for both operators and the public, BST can help serve as a catalyst for accelerating UAS growth and adoption. The compact form factor of this technology allows it to be incorporated into a wide variety of UAS platforms—enhancing the aircraft’s reliability while allowing for active navigation around obstacles and rugged terrain, thus reducing adverse impact to either people or property. Hardware and firmware for individual subsystems that includes sensor and machine learning algorithms to track aircraft subsystems. Uses regression and classification techniques to identify both inflight failures, and track maintenance requirements. Perform automatic mitigation as needed from failures and guide the user through failures with an “ECAM-like” system.